For example, suppose variable costs (v) are $2 per unit. If total output (Q) is 1,000 units, what will total variable costs (VC) be? Similarly, if Q is 5,000 units, then VC will be 5,000 X $2 = $10,000. 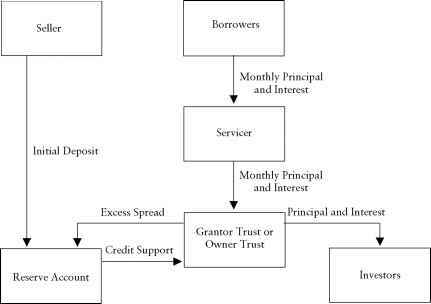 Figure 11.2 illustrates the relationship between output level and variable costs in this case. 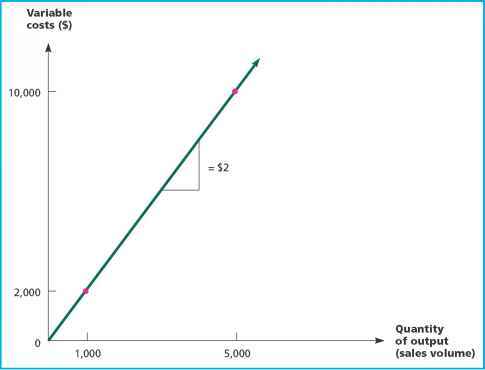 In Figure 11.2, notice that increasing output by one unit results in variable costs rising by $2, so "the rise over the run" (the slope of the line) is given by $2/1 = $2. 358 PART FOUR Capital Budgeting company knows that each pencil requires 5 cents in raw materials and 50 cents in direct labor costs. These variable costs are expected to continue to apply in the future. What will Blume's total variable costs be if it accepts the order? Therefore, total variable costs will be $2,750. Costs that do not change when the quantity of output changes during a particular time period. Fixed Costs Fixed costs, by definition, do not change during a specified time period. So, unlike variable costs, they do not depend on the amount of goods or services produced during a period (at least within some range of production). For example, the lease payment on a production facility and the company president's salary are fixed costs, at least over some period. Naturally, fixed costs are not fixed forever. They are only fixed during some particular time, say, a quarter or a year. Beyond that time, leases can be terminated and executives "retired." More to the point, any fixed cost can be modified or eliminated given enough time; so, in the long run, all costs are variable. Notice that during the time that a cost is fixed, that cost is effectively a sunk cost because we are going to have to pay it no matter what.